This site links to blogs and websites that relate to my work. My book, The Patterning Instinct: A Cultural History of Humanity’s Search for Meaning, will be published by Prometheus Books in May 2017. It is a global history of humanity’s quest to find meaning in the universe, from the time of the earliest hunter-gatherers to our modern era. Tracing how humanity’s search for meaning has affected the state of our world, it offers a simple but compelling theme: culture shapes values, and those values shape history. Pioneering the new field of cognitive history, The Patterning Instinct offers a glimpse into the minds of a vast range of different peoples: early hunter-gatherers and farmers, ancient Egyptians, traditional Chinese sages, the founders of Christianity, trail-blazers of the Scientific Revolution, and those who constructed our modern consumer society. The book identifies the root metaphors that cultures have used to construct meaning in their world from hunter-gatherer times to today’s global civilization, and demonstrates how these have affected the course of history. Uprooting the tired clichés of the science/religion debate, it shows how medieval Christian rationalism acted as an incubator for scientific thought, which in turn shaped our modern vision of the conquest of nature. Probing our current crisis of unsustainability, it argues that it is not an inevitable result of human nature, but is culturally driven: a product of particular mental patterns that could conceivably be reshaped. Shining a light on our possible futures, the book foresees a coming struggle between two contrasting views of humanity: one driving to a technological endgame of artificially enhanced humans, the other enabling a sustainable future arising from our intrinsic connectedness with each other and the natural world. This struggle, it concludes, is one in which each of us will play a role through the meaning we choose to forge from the lives we lead. This blog explores the hidden patterns underlying what goes on in our world and invites the reader to explore their own patterns of meaning they may take for granted within their worldview. Ultimately, it’s only by changing our global civilization’s pattern of meaning that we’ll make it through the crises facing our world – and we all have a part to play. You might ask: the organizing principles of what? The answer: everything. The complete set of dynamic patterns that make up our entire universe – what the traditional Chinese called the Tao. Here is the website for the Liology Institute that I’ve founded, with the mission of fostering a worldview that will enable humanity to thrive sustainably on this planet. In the 15th century, a massive Chinese armada of over 300 ships led by Admiral Zheng He traversed half the world, impressing populations in Africa, Arabia and Southeast Asia with its magnificence. Later that century, Christopher Columbus landed in the New World with three dingy boats, all of which could have fit comfortably in one of Zheng’s. Zheng’s fleet had virtually no impact on history. Columbus’ transformed the world, marking the beginning of our modern world order. Why the difference? This presentation suggests the underlying cause for these different outcomes is to be found in the cognitive differences between the two cultural complexes of China and Europe, with two contrasting views of power. These differences help us to understand the current cognitive structures that drive our civilization’s trajectory today. I presented my early research for The Patterning Instinct with the theme of the “tyranny of the prefrontal cortex”: that the part of the brain that makes us uniquely human, known as the prefrontal cortex, has become so powerful that it has led to the current imbalances in our global society, causing our ever-accelerating and unsustainable destruction of the natural world. This tyranny of the prefrontal cortex has also led to imbalances within each of us, individually, and is at the heart of the mind/body dualism that underlies our thought patterns. Here’s the 20 minute video of the presentation. Click here if you’d just like to flip through a pdf of the slides. The Human Construction of Time. Here’s a pdf version of the presentation I gave on October 22, 2011, at the Science and Non-Duality Conference in San Rafael, CA, on how the human construction of time over history tells us a lot about how human consciousness has evolved towards the dualistic view of the universe that predominates in today’s global civilization. 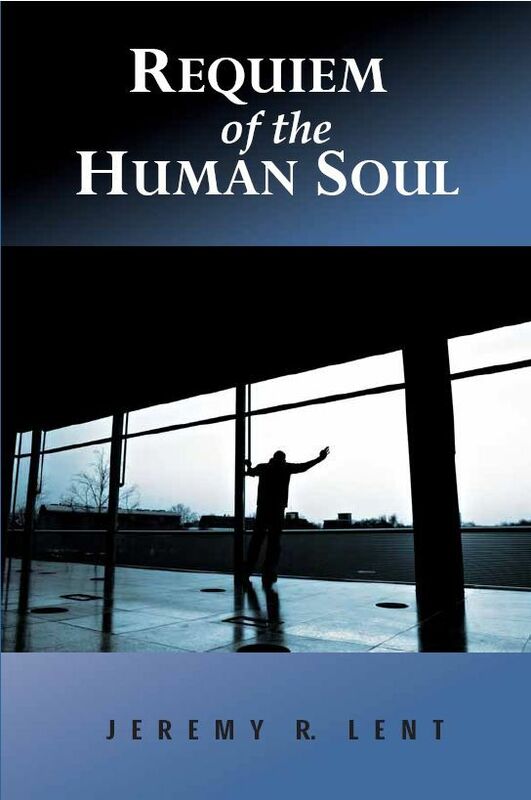 Requiem of the Human Soul. This is the website for my novel, published in 2009, set in a future when genetically enhanced d-humans rule the world, and the unenhanced humans, known as Primals, are scheduled for extinction. The novel contains the seeds of the idea of the “tyranny of the prefrontal cortex” which propelled my research over the past few years. If you’d like to get in touch with me about these or any other ideas, please email me at jeremylent@gmail.com. This entry was tagged humanity, science and spirituality. Bookmark the permalink.